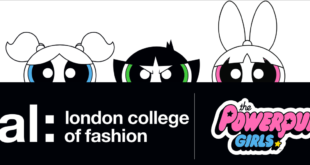 Turner’s Cartoon Network EMEA today announces its latest partners signed to the apparel and accessories category for The Powerpuff Girls in the UK, following the recent unveiling of London-based fashion label Fyodor Golan’s autumn/winter 2017 collaboration inspired by the animated series’ iconic trio of main characters. The full range of The Powerpuff Girls x Fyodor Golanproducts includes an assortment of outerwear, tops, sweatshirts, skirts, dresses and trousers, for powerful women, as well as a “mini-me” collection for aspiring young girls. 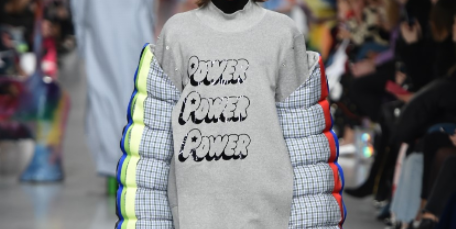 Meanwhile, Bioworld Europe has been signed to launch a The Powerpuff Girls range of ladies’ daywear featuring t-shirts, sweatshirts, jumpers and leggings that launched to coincide with London Fashion Week. 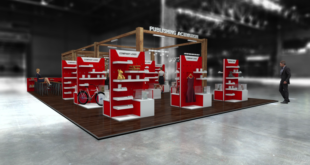 In addition, new licensees will be adding lines to the brand’s accessories and cosmetics categories targeting young girls and tweens. H&A is developing cosmetics that will hit shelves in September 2017 while, both debuting in autumn 2017, Trademark is introducing kids’ fashion bags and Imagine8’s is on board for a jewellery and hair accessories line. “Thecool credentials and distinct visual aesthetic of The Powerpuff Girls perfectly translates into fashion and accessory products, that are desirable to fans of all ages," said Maria Rosaria Milone, senior director of category management and agent markets at Cartoon Network Enterprises EMEA. 2017’s merchandising push for Powerpuff girls has been spearheaded by master toy licensee Spin Master and has included a collaboration with hugely popular YouTube influencer Tiana Toys & Me.